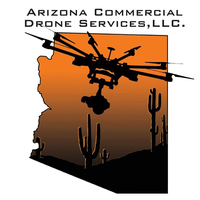 About Arizona Commercial Drone Services, LLC. I have 25+ years in the construction industry, 15+ years as a Realtor and have been building and flying drones or sUAS for several years to master this new technology. I have extensive experience identifying client needs, client communications, building strong client relationships, and providing professional service. Background includes extensive operations management and project management experience in the construction industry. Previously owned and operated two successful construction companies for more than a decade. Having decades of construction experience sets us apart from other drone service providers that are "drone guys" or photographers. We will provide your Team with useful data in common formats for use in BIM, 3D Modeling and CAD software like Trimble Sketchup, AutoDesk InfraWorks, and others. AZCDS will work with your onsite crews, provide safety briefing on our operations as well as communicate with Architects, Engineers, Project Managers and Project Superintendents.